When I was growing up there were some parts of Sydney that were considered 'no go' areas. Marrickville, located in the Inner West of Sydney was one of these suburbs. 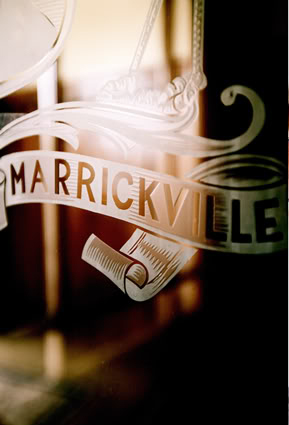 As the blog Marrickville Massive puts it, Marrickville was the place "...where the High School was shut down due to one too many stabbings". Who knew I would be living here years later?! 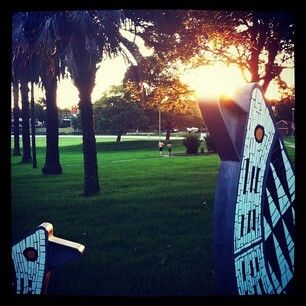 Many things has changed since then and fortunately or unfortunately ﻿Marrickville has transformed. It is now much safer and has become an eclectic, vibrant and interesting place to live. What I love about Marrickville is that it is constantly evolving, however you can still find the good parts of 'old' Marrickville. Like the Lamia Super Deli, a little Greek deli on Marrickville Road which has been in the area for over 30 years. Or Paesanella Cheese Factory, which has been producing fantastic Italian style fresh cheese since the early 60's. The other reason I love living here is that I think there aren't many places in where you can live and not have to go more than a few kilometres to find the most amazing food and produce, often produced right here in Marrickville. So I thought I would share with you some of the great things that I have discovered about Marrickville and her surrounding areas over the years. As you know, #45 on my Life List is 'Discover the amazing things about Sydney', so I thought it would be apt to continue this and look at where the place where I live. We lived in Newtown for 2 yaers and my husband used to do all the grocery shopping at Marrickville. It's definitely one of those places that feel like it's constantly evolving. I lived in Marrickville when I was in Grade 6 - so back in 1985. We lived opposite Marrickville Metro, except for there wasn't any Marrickville Metro. It was a disused & derelict vacant block. People were constantly dumping stolen cars in our street and setting them on fire (really). Now I think that house would be worth nearly $1M and is just around the corner from Petty Cash Cafe, Urban Food Market & BSB. Sigh.